New Delhi [India], Jan 5 (ANI): United States President Donald Trump dismissed reports suggesting that former secretary of the Navy, Jim Webb, was being considered as the next US Secretary of Defense. Washington D.C. [USA], Jan 2 (ANI): Senior Republican Mitt Romney strongly criticised US President Donald Trump on Tuesday (local time), mentioning that Trump failed to rise to the "mantle of the office". Baghdad [Iraq], Dec 27 (ANI): United States President Donald Trump made an unannounced first trip on Wednesday to troops in a combat zone in Iraq as President. Trump was accompanied by the First Lady Melania Trump. Manama [Bahrain], Oct 28 (ANI): United States Defence Secretary James Mattis met Saudi Arabia's Foreign Minister Adel al-Jubeir and called for a transparent investigation into Saudi journalist Jamal Khashoggi's death while condemning the incident. New Delhi [India], Sep 05 (ANI): The United States Secretary of State Mike Pompeo arrived in Delhi on Wednesday evening. He was received by External Affairs Minister Sushma Swaraj at the Palam airport. New Delhi [India], Jul 13 (ANI): The 2+2 dialogue between India and the United States is set to take place in the first week of September this year, Union Defence Minister Nirmala Sitharaman said. Washington [United States], June 24 (ANI): The U.S. Department of Defence 'indefinitely' suspended select military exercises with South Korea. 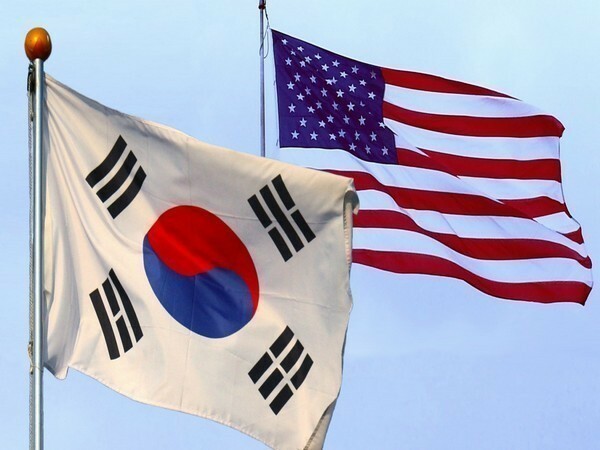 Washington [United States], June 19 (ANI): The United States and South Korean militaries on Monday suspended their joint military drill that was scheduled to take place in August. Washington DC [United States], June 16 (ANI): US Defense Secretary Jim Mattis has discussed with his South Korean counterpart, Song Young-moo, the future of their joint military drills after US president Donald Trump said that he would be suspending them. Washington [United States], June 5 (ANI): United States (US) Senate Democrats have written a letter to US President Donald Trump saying that any agreement with North Korea must include the dismantlement and removal of its nuclear weapon.